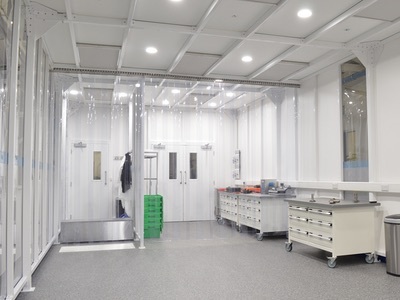 Connect 2 Cleanrooms, a UK supplier of modular cleanrooms for critical environments, has designed a cleanroom for a visual inspection firm in Malta to support its expansion into the electronics and pharmaceutical sectors. The Maltese firm offers visual inspection and packaging services to manufacturing companies where high quality and zero defects are the norm. Customers, mainly in the automotive, electronics, telecoms and pharmaceutical sectors, use its services either as an extension of their own production processes, or for a one-off inspection if a quality issue has arisen. The firm undertakes work for many European OEMs and their suppliers, such as the inspection of rubber seals for Formula 1 cars. 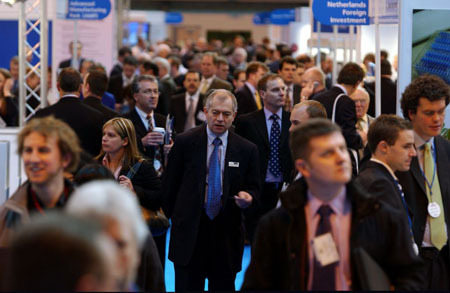 The investment in cleanroom facilities will increase the scope of work the firm could undertake – particularly from the electronics and pharmaceutical sectors, where industry standards dictate that certain goods are produced in a classified environment. 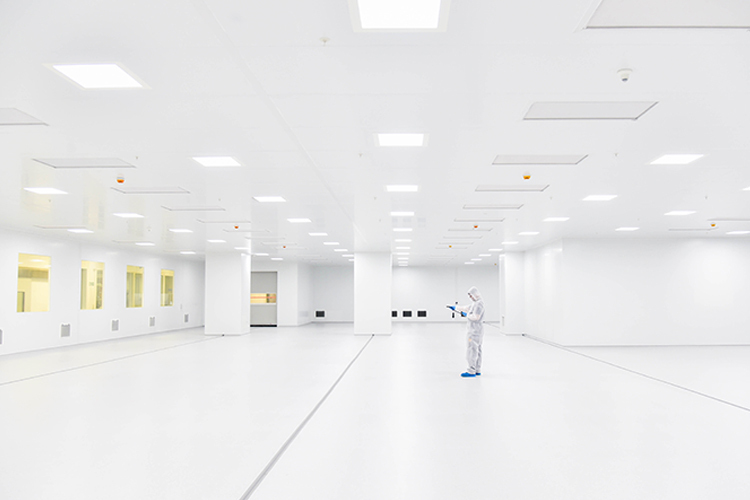 The cleanroom is kitted out with in-built inspection desks with HEPA filtration mounted directly above, providing unidirectional down airflow. 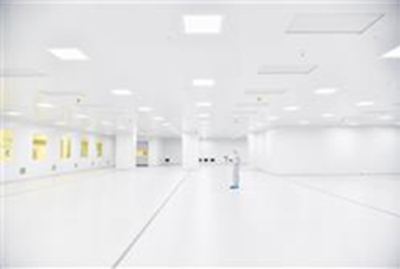 Connect 2 Cleanrooms says this has created an exceptionally clean area for the inspection of critical components to allow process confidence. The cleanroom has multiple cascading zones; with ISO Class 5 inspection areas, an ISO Class 7 general area and classified ISO Class 8 product transfer and change area. HEPA fan filter units allow for 0.3 micron filtration, giving 180 air changes an hour at a 0.5m/s air speed in the Class 7 environment and 60 air changes an hour at 0.5m/s air speed in the support areas. The change and product transfer area has been furnished with a bespoke stainless steel step over bench and a product shelving rack from Connect 2 Cleanrooms’ consumables division, cleanroomshop.com. 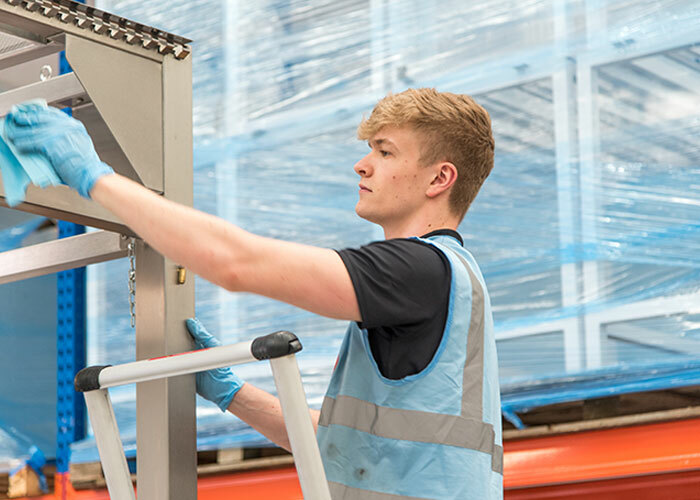 The visual inspection firm needs to be faultless in its work, and a highly trained and motivated workforce is crucial to its third-party manual inspection service. The firm has a team of more than 80 inspection workers and the new cleanroom has created an additional 8 light and productive workspaces, which can be used by shiftworkers 7 days a week. 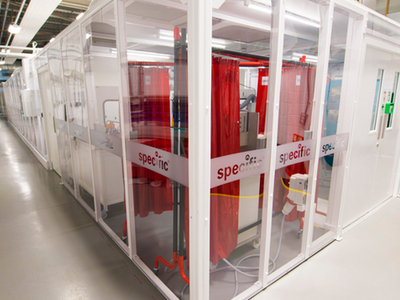 Connect 2 Cleanrooms designs and manufactures hard and soft wall cleanrooms in-house and delivers quality cleanroom solutions to meet the ISO 14644-1 standard required. Its consumables division supplies consumables, equipment and furniture to the cleanroom industry worldwide.